this one looks nice! and much better than the 650F, especially the speedometer. 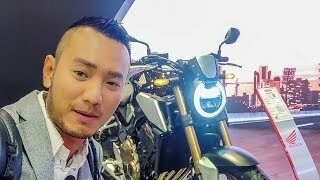 I just wish Honda makes keyless on their motorbikes. 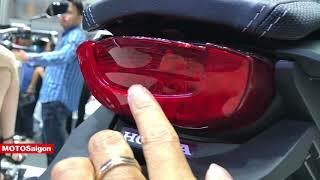 My Honda SH150i has keyless, just like car. It is very convenience ! This bike was heavy and it continues to be heavy. They need to trim some 15kg off of it. that air scoop-kinda-thing is ugly, it will look better without it. I know right?? Right.... they don't even look like they are stuck to the body of the bike very well, I noticed some gaps. 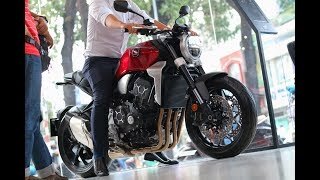 beautiful bike but that air intake and chasis look so bad. chasis look so cheap. 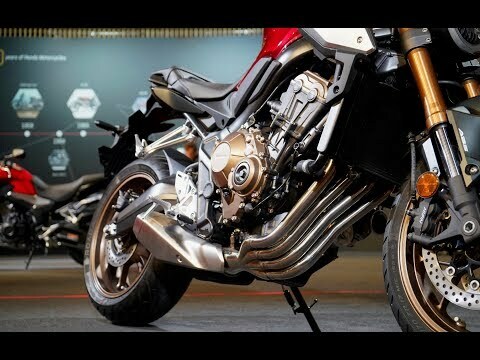 This is a naked bike with cafe positioning and some contemporary styling to bring it into the 21st century. tramagacity. In your own opinion. Michael Moretti Really. ? 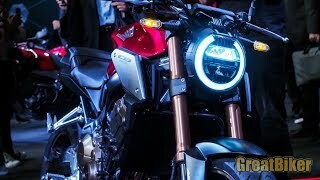 What does the bike has to look retro?Other than the ugly round headlight, if it is supposed to look retro a led light is the last thing you should fit there. 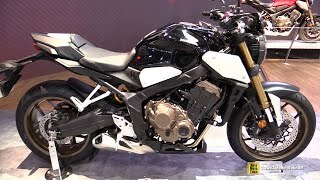 It is a sports bike, with a modern but poor design. Outdated? You get that this is SUPPOSED to look retro, right? I think it looks nice.. But, first thing I would do is "Fender eliminator" that long extended tail just seems weird - sorry to say, but a lot of other bikes have that lately.. The long dangly fenders are because of E.U. regulations that require the fender to extend back beyond the rear wheel. I have absolutely no idea why they regulated this requirement, and it looks bloody stupid, but, that is why motorcycle manufacturers do it. They're doing keyless on all their 125's but not this? Fail. +Robert Marsh Perhaps Honda trying to build a new image for CBR? +addicz2 I've had a CBR600R before; had clip-ons above the bars, lovely bike but sadly got written off. RR model was different and more extreme. 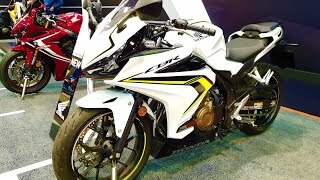 Basically want more of an all rounder which the old CBR600F (up to 2005) was. 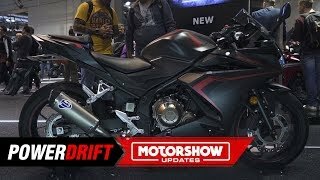 Yamaha Thundercat was pretty similar too, and good for larger riders. 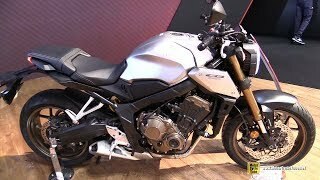 +Mephistopheles I have current CB650 and it is under £7000 and comes with linked ABS. +Naked Rider in U.S it is 8,899!! 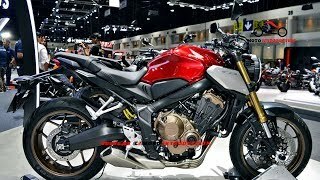 more expensive than z900 and it does not have ABS! 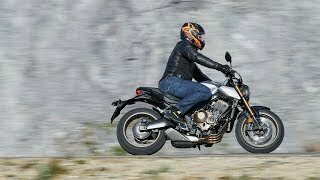 Looks nice but I prefer more versatile adventure bikes as you can do more with them. Andrew Hoffman. Yes, adventure bikes can do more. But they still look ugly as hell. 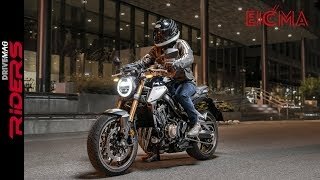 It's not an adventure bike... it's a naked "street fighter". Those plastic boxes on either side of the tank! I was thinking the same thing... they just don't look good. So are those actually functional air intakes? ikr ? it just looks ugly. 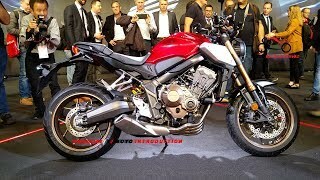 Honda should have made it look more like cb400sf or cb1300, those bikes are clean. 209 kg!? (460 lbs) I sure hope that's NOT the official weight. That's even heavier than the 650F that it's replacing. I'd like to see this bike come in at the 420 lbs (191 kg) level. 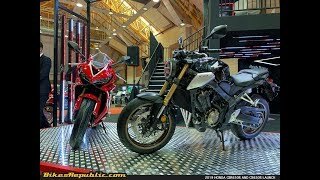 The CB650R weighs 202kg (curb weight); the CBR650R weighs 207kg (also curb weight). 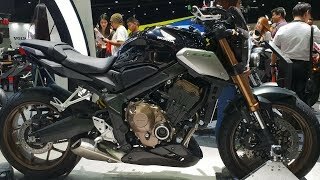 +Pingu Rider the Z900 is 300cc's more..
+Pingu Rider My 1994 Suzuki RF900 (135bhp) weighs 204kgs, 5kgs lighter than the 600 above, and the rf has a full fairing. I had the same thought regarding the weight. 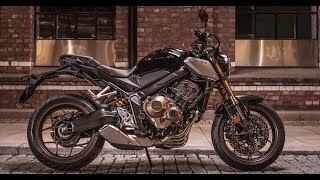 XSR900 is only 430 lbs wet. 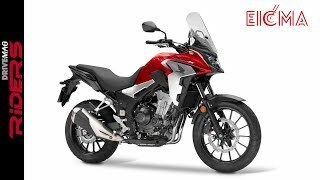 Cận cảnh CB1000R 2018 Chính hãng Honda Việt Nam ! 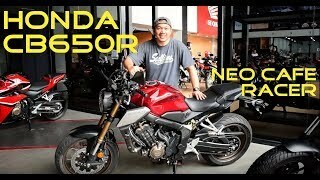 เปิดตัว New Honda CB650R NEO SPORTS CAFE อย่างเป็นทางการ!! !